Two UCC researchers have received €115,000 funding for a project that will see them investigate the digital consent process for patients who provide their health data to a variety of websites and patient centric social media platforms. 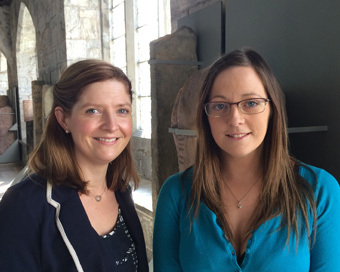 Dr. Ciara Heavin and Dr. Yvonne O’Connor from the Health Information Systems Research Centre (HISRC), Business Information Systems in UCC were successful in receiving funding for the CHASM Project from the Wellcome Trust. The Wellcome Trust exists to improve health for everyone by helping great ideas to thrive by supporting scientists and researchers through funding. The CHASM Project (Consenting HeAlth related data through Social Media) will investigate the digital consent process for patients using social media platforms (SMPs) in order to develop best practice design guidelines for the developers while placing the end-users, which are the patients, at the centre of the process. The 12 month CHASM Project will commence in August with a team of three. The aims of the project are to enhance awareness regarding patient ownership of online health data/information; identify best practice design guidelines targeted at software developers of social media technologies and strike a balance between data openness and data privacy; and to propose new visual approaches for obtaining informed consent electronically which could be utilised in future electronic-health research.